Cosmetic dentistry is much more than tooth whitening although many people believe it is only that procedure. 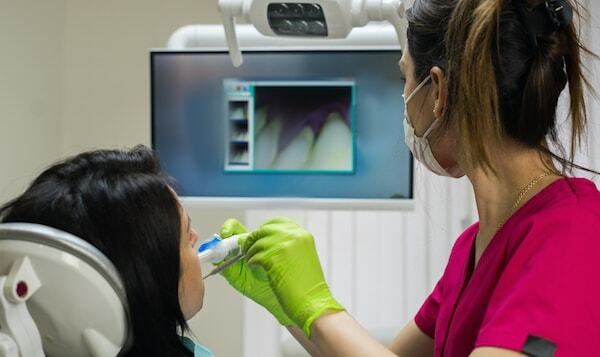 Thanks to technology, cosmetic dentistry encompasses several different procedures including veneers, dental bonding and implants to correct dental despondencies and improve a smile. Certain forms of cosmetic dentistry date all the way back to ancient times. Are you ready for a short history of cosmetic dentistry? As early as 3000 B.C., people realized that oral hygiene promoted a better-looking smile so they used sticks to clean their teeth. The ancient Egyptians weren’t too far off when they used gold to make dental crowns and dental bridges. To replace a missing tooth, they would sometimes hammer seashells into their gums. They also used unusual materials to replace missing teeth. Dentures were made with ivory and bone. They even took human or animal teeth to make dentures. However, some people did not value their teeth as much. Therefore, they would extract their own teeth and sell them to others. Nevertheless, the results were not long lasting. They smelled rotten and deteriorated quickly. The Ancient Romans had an unusual way to conquer stains on their teeth. Apparently, urine was used regularly as a tooth whitening mouthwash. Although the ammonia in urine can effectively break up stains and provide a brighter smile, the modern world is very thankful for the most current teeth whitening treatments. Some of these practices were revisited during Medieval Times. The Europeans decided to give the ivory and bone tooth replacement a try but it wasn’t very comfortable. Although the body would often reject the tooth, they also attempted to use cadaver teeth as implants. Despite the unappealing results, this method continued to be used through the 1800s. During this time period, dentistry wasn’t always an isolated practice as the barber was also the dentist. This combo dates back to the year 1130. Back then, the barber used to file the teeth and apply a coating of acid to make the teeth whiter but this often destroyed the enamel on the tooth and eventually the tooth. A Guild of Barbers was established in France in 1210. This group consisted of dental hygienists or lay barbers and barber surgeons. By the 1400s, barber and dental services began to separate. Barbers could continue with oral hygiene services but they were no longer allowed to perform dental surgery. In the late 1400s, the first bristle toothbrush was invented but it wasn’t necessarily sanitary as it was made of animal hair. Thank goodness, DuPont came out with the first nylon toothbrush in 1938. Like the history of most modern inventions, cosmetic dentistry became an experiment over the next few centuries which gave positive solutions and not so positive outcomes. Since human teeth did not make good implants, the 1800s saw dentists placing various metals within the sockets of lost teeth. However, this method didn’t work out too well since the body also rejected them. 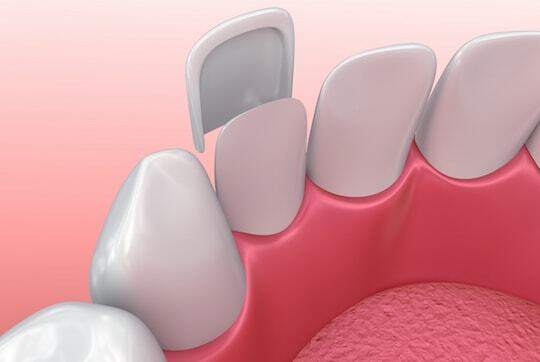 The first veneers were created and plaster was used to help sculpt better-fitting dentures. At this time, porcelain dentures came to the U.S. and became very popular which resulted in an increase to the dental economy. In 1840, the first dental school was established along with the Doctor of Dental Surgery (DDS) degree. In 1854, the first dental lab was erected and prosthetic teeth were created. This was followed by porcelain jacket crowns as a substitute for gold fillings. In the early 1900s, the dental labs switched to plastics and acrylics for dentures and this is what is still used today. Humanity has come a long way from using sticks to clean the teeth. However, without experimentation, we would not have the options we have today for cosmetic dentistry. Teeth bleaching agents are used in teeth whitening procedures instead of urine. Laser teeth whitening is also an option to provide a brighter smile in about an hour. While dental veneers were invented in the 1930s as a temporary fix for movie stars, the adhesive they used generally gave way after a short time. A new technique was developed in 1982 which permitted dentists to permanently bond veneers to the natural teeth. 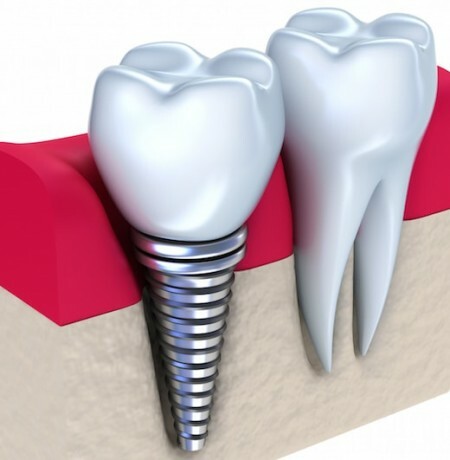 Likewise, the first screw dental implant was inserted in 1937, but in 1952, the process of osseointegration was discovered by a Swedish doctor. 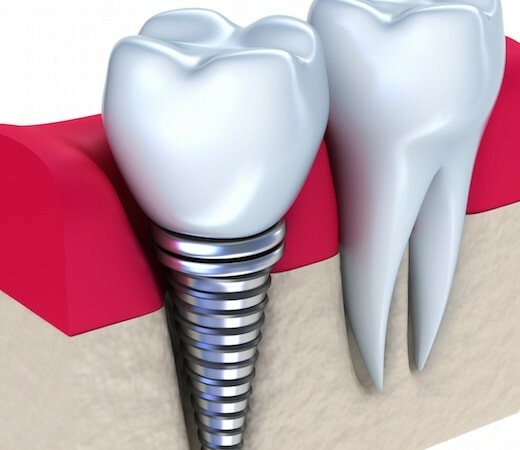 This process, which allows titanium to fuse to the bone, was a revolutionary idea for dental implants and by 1965 the first modern dental implant was created. Of course, technology and marketing takes time so the new dental implants didn’t hit the market until 1981. By the 90s, dental implants began to grow in popularity and are still commonly used today.